Overtime, gaming addiction has proved to be a very real problem for quite a number of people. It is sometimes classified as a disorder which poses a negative impact on people. Although, indicators that one is addicted, might be difficult to recognize. Gaming addiction can be as challenging as other severe addictions such as gambling. There are several adverse effects that comes with gaming addiction. Firstly, the most regular one is reduced performance in work or school. Staying long hours playing video games can negatively affect the performance of a person. There would be failure to work to an optimum and desirable level due to exhaustion or tiredness, from staying up over the night playing a video game. If a child or young one devotes too much time playing video games, issues such as insomnia could set in and also difficulty in paying rapt attention in class. Also, there is a tendency for a person addicted to games to be psychologically affected. There are video games that display violent acts and scenes, and this may cause players to be insensitive to the act of violence. This has a negative impact on the players and may cause them to start developing and nursing aggressive and hostile thoughts and inclinations. In some rare cases, they become a nuisance and trouble to the society. There are risks of encountering health problems when one gets too addicted playing games. If all the time a person has is spent on playing game and as a result misses meals or lose considerable amount of rest or sleep, there is a high tendency for such a person to encounter severe health problems. Gaming addiction can lead to medical and health issues such as backache, eye pain, headaches and also a feeling of numbness on the wrists or hands and shoulder due to staying long hours at a particular position or spot, playing games. Keeping close relationships with friends and family may be on the line if all the time is spent on playing games, rather than interacting or relating with loved ones. Addiction to gaming adversely affects a person such that all he or she would be interested in discussing about, is the subject matter of the video game and nothing else. Arguments and unhelpful conversations would be prevalent. Therefore, addiction to a video game would be harmful if the individual decides to neglect other activities and engagements, and focus entirely on just playing game. Abandoning other responsibilities that does not relate to playing of video games might have terrible consequences. Gaming addiction is prevalent in modern society, so it is mistakenly thought of as a very basic thing. The truth is, gaming addiction is a rather complex thought process that keeps people coming back again and again. We are not aware that it is complex while we are gaming because it is a subconscious process. 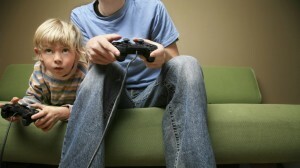 It is errant to assume that only children experience gaming addiction. People as old as in their sixties have been found to have a gaming addiction. It would not affect people this way if it were not a powerful force. People have always loved playing games, both young and old. 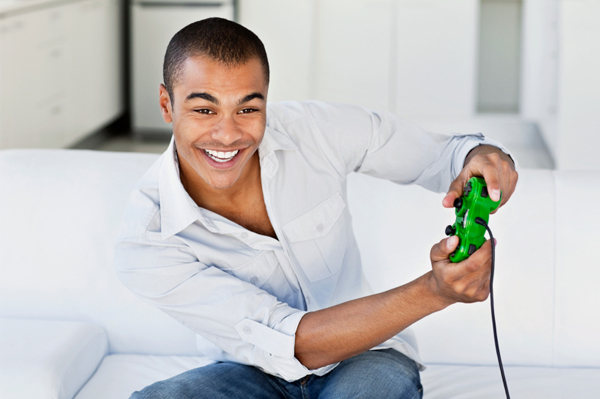 Game playing is a stress release and a mood lifter. It gives people happy brain chemicals and distracts them from hardships. Historically, game playing has been done with “hardware,” for lack of a better term, meaning that the game is played physically, with people interacting with tangible parts. In modern times, the rules of game playing have been rewritten for digital media. The game playing of the present day is hard to resist. It is colorful, interactive, and was developed over many years of observing what qualities people want most in a game. In fact, video game designers are aware of the addictive elements of game playing and do their best to program games with as many of these addictive elements as possible. This is consistent with how anything that people find pleasurable is marketed to them. Anything that gives people immense pleasure can be exploited for capitalistic purposes and made to be addictive. The methods used for creating a video game addiction are catering to short attention spans, using believable and eye catching graphics, timing missions so that they take an optimally pleasant amount of time and adding other attention grabbing elements such as story, humor and a memorable soundtrack. All of these attention consuming elements make it difficult for adults and children alike to put down the video game controller. It is not a wonder that video game addiction is one of the most quickly rising addictions there is. Video games have long been thought of as entertainment for children, but this standard has changed drastically in the last decade. Video games are now embraced by the adult world, particularly by those who played video games as kids. 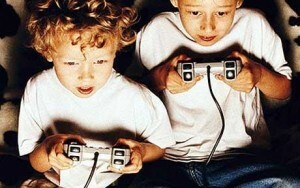 Not only do adults play video games, they can also easily become addicted to them. 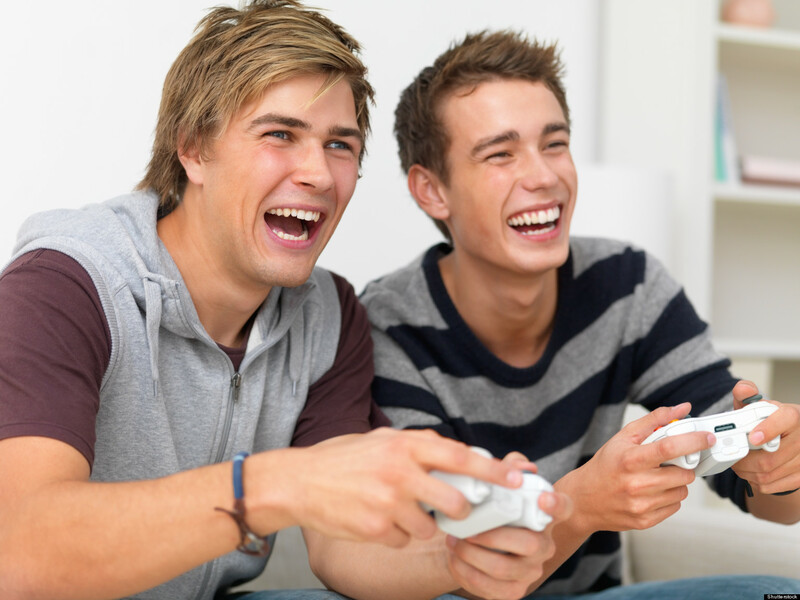 Many grown ups find themselves struggling with video game addiction in the present day. There are two different types of adult video game addiction: the kind that begin in adulthood and the kind that begin in childhood. The type of adult video game addiction that begins in childhood is by far the more common and pervasive one. We are reaching a time in history when video games have been around long enough for middle aged people to have played them when they were young. As the video game playing demographic ages, so do video game addictions. Adults who became addicted to video games in their youth are far more likely to have a lifelong pattern of video game addiction. The addictions and coping mechanisms we build for ourselves when we are young are the ones we will typically turn to for our entire lives. With video games being so popular and accessible, video game addiction is beginning younger and younger. It is guaranteed that we will see future adult video game addictions in proportion to the present number of child video game addictions. Video game addictions that began in adulthood are a whole different animal. These are introduced to a person later in life, typically by a friend or a salesperson, and the habit sticks. People who naturally enjoy games often take to video gaming quickly because it requires similar levels of hand-eye coordination. Soon, they are gaming to the point of excess. 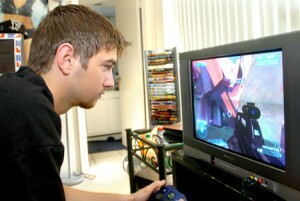 However, video game addictions that begin in adulthood are easier to manage. A person is able to break away cleaner from a recent addiction, where as they may struggle for years to end a life long addiction, only to relapse eventually. Video games have proven addictive to every generation, but when someone becomes a video game addict as a child, their addiction story is very different from someone who becomes an addict as an adult. Children are far more impressionable than adults. Their brains are open to outside influences and absorptive like sponges. When a child discovers a love for video games, they will likely develop a strong, clinical addiction to them if they are not closely monitored by their parents. The reason kids have a different experience with video game addiction than adults is complex. The life of an addiction is typically more or less severe depending on what age the person discovered the addiction in. When someone has reached maturity, meaning mid twenties or beyond, they are unlikely to discover any addictions that they will not be able to work through and overcome. When someone discovers an addiction in their teen years, it will be harder for them to break. Anything earlier than that is statistically an addiction for life for the individual. These patterns are due to how the human mind works. The things we turn to for comfort, entertainment, pleasure and security in our youth are habit forming and affect us dramatically into our adult years. A recent addiction is one that a person can reason their way out of because they remember why and how it started, and can retrace their steps. An addiction that begins in youth goes subconscious by adulthood. The individual does not know why they engage in their addiction. They only know that they cannot control their cravings for it. Video game addictions in kids sets in hard and fast. A young mind is an impressionable one, and the high quality graphics, catchy sounds and other entertaining game elements prove irresistible to kids. Parents are having an increasingly hard time controlling their kid’s video game habits as technology improves. Addiction specialists are seeing more and more children becoming addicted to video games and are trying to make information about video game addiction readily available to parents. Online gaming as a hobby may seem harmless enough, but have you ever stopped to add up how many hours in your week go to online gaming? Gaming addiction is a very real thing with harmful consequences, and though it goes largely unnoticed in our culture, it does damage to a person’s well-being. A gaming addiction is particularly hard on the gamer’s loved ones, personal obligations and health. An addicted gamer’s relationships undoubtedly suffer due to a gaming addiction. Family is usually the first to notice. A spouse or a significant other will begin to feel neglected, and children will be wanting for attention. The gamer sets an example of escapism as a priority and hurts the value system of their family. Friends feel the tug of distance as well and begin to feel that they are not a priority to you. Ending your gaming addiction will restore your relationships to their former closeness. Jobs, school and other personal obligations also begin to go by the wayside when a person has a gaming addiction. Particularly any task that is meant to be completed in the home will be neglected, as that is where the gaming console is. If the gaming addiction is very severe, the gamer may also have a mobile gaming device which distracts them from life outside the home as well. This attachment to gaming devices can result in lost jobs, failing school and a general underachieving way of life. And lastly, a person’s health will begin to deteriorate if they cannot separate themselves from their gaming addiction. Online gaming is a sedentary activity that involves no athletic ability whatsoever. Repetitive gaming causes muscle deterioration, weight gain and a slowed metabolism. It is far more natural to spend one’s time gaming in real life, in the form of a sport or an obstacle course. If you are inflicted with a gaming addiction, the best thing you can do for yourself and your loved ones is to end your addiction. This does not mean you have to give up gaming. It simply means you learn to exercise moderation over your addiction. It is unhealthy and unnatural to game in excess. Resist your addiction and restore your relationships, purpose and health to their original state.